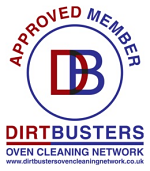 JMO Oven Cleaning is an independent family-run company. We pride ourselves on a friendly, efficient and complete service. Starting from your call and finishing with a super clean appliance. We use only bio-degradable and fume free solutions and pastes that will not cause harm to you, your family or your pets. We are based in Plymouth. However we cover many surrounding areas. Contact us for more details.